Tech-Savvy PR | A little technology, a little PR, and a whole lot of nerd. A little technology, a little PR, and a whole lot of nerd. Regular updates for video games have become standard practice in the video game industry. Partly because of this shift, a new internet creature was born. Anyone who frequents video game forums can spot a troll fairly quickly, but what happens when said troll makes some points other users agree with? Although troll posts are often irrational, fabricated, offensive, and profanity-ridden, even some rational people may hop on the troll wagon. Before you know it, you have yourself a few sparks that could become a wildfire at any moment. Yes most of these posts can be brushed away to the depths of a server in a basement of an inconspicuous office building because they are rage comic worthy rants. However, as a PR professional in the video game industry, you will come across the occasional post that appears to be the work of a wild rage-filled troll. This troll is smarter than other trolls. This troll actually THINKS. This is no troll. Now is the time to take a few deep breaths and remember your college days. All of those long hours spent writing the perfect thesis and supporting it with 10 pages of facts backed by your 20 page bibliography. When it comes to this person making claims, no matter how wild, and they are supporting them with accurate information, you need to respond. ASAP. Separate the facts from the opinions and respond to this person. Address how the developer is tackling each issue, or thank the person for bringing a new issue to light to look into. The last point is very important. Rational and informed people understand your development team cannot possibly catch every error no matter how much alpha and beta feedback it goes through. People playing your company’s game will trust you more if they know you listen and look into issues they present in a rational manner. Admitting to missing something right away will not make your company look idiotic. This will make it seem more authentic, but appearing authentic is not good enough. Do not say programmers are looking into an issue when they are not. The development team may be working on issues it feels are more important. Do not spit out some corporate-speak such as, “we are aware of this issue and are working to fix it.” Although the programmers may not want to reveal what they are working on, you can still give people enough information to keep them out of the dark. Of course, for every rational person there are 5 irrational ones. However, dealing with trolls is a tricky business. Stay tuned for how to deal with those monsters. How Should Video Game Developers Respond to Ratings? People have been reviewing entertainment long before the internet was invented, but this revolutionary innovation has enabled millions of people to share their opinions with one another in mere seconds. Sometimes this can be a great thing if your movie or video game is receiving a high level of praise. However, this is definitely an issue if you have a product that is not being treated so kindly. With the release of Call of Duty: Modern Warfare 3, Activision is facing such an issue. On the video game section of the website MetaCritic.com, two scores are shown for each game. One score is an average of critic reviews and the other is an average of user scores. For Modern Warefare 3, the average score has gotten as low as 1.4 out of 10. Users have become outraged at what they believe is a recycled game. The critic reviews of the game are much more positive. From a PR standpoint I can definitely understand why Activision has not made any statements besides the Twitter post. The game was still sold millions of copies, and if you can do this with minimal effort, why change the formula? I do not blame Activision for not worrying about the complaints of some thousands of players, many of whom bought the game knowing very well what they were getting themselves into. When it comes to PR crisis management, there are always a few rules to live by. To me, two of these rules are easily the most important. The first is to make a statement ASAP, and the second is to put all the information you have out there. Yes, even the bad news because if you do not let it be known someone else will dig it up and reveal it to the world. It is not a matter of whether or not the information will get out, it is only a matter of when. Now your company looks dishonest and foolish. The video game developer Bethesda broke both of these rules recently. On November 11, 2011, Bethesda released one of the most anticipated games of recent memory. This game was Elder Scrolls 5: Skyrim. However, those who purchased the game for PS3 began to notice an issue. You can read about the details of that issue here. Needless to say these players were upset, but what did Bethesda due in response to this? Well at first it did nothing. Bethesda said it was aware of the problem but not much else. It was later discovered Bethesda aware of this issue to some degree with the PS3 version of the game. The problem is Bethesda released this information much later when it really didn’t have much of a choice. Before this incident, Bethesda was one of the most respected video game developers in the world. Bethesda lost many loyal fans afterward, and all it had to do was follow a couple simple rules. In a particularly interesting lecture this year, a graduate student took the reigns in one of my classes and discussed social media in some broad terms. I am embarrassed to admit how little I knew about some information he threw out there such as how Facebook tracks your every move online. I have always been fairly cautious when it comes to posting things on social media sites because I know people have their ways of accessing this information. However, I am friends with many people on Facebook who do not understand that what they post online can a lot of the time be accessed by a number of people regardless of privacy settings. In this article, TribeHR points out some interesting facts about social media use in the working world. I want to draw your attention to the section that indicates 85% of employers said they were less likely to hire an individual if their Facebook or Twitter page displayed unprofessional behavior. First off I’m pretty sure every company will have their own definition of unprofessional, but from what I have seen this won’t matter. Based on my Facebook friends alone, the posts are black and white between inappropriate and appropriate. This leads me to believe either these individuals constantly posting unprofessional things either do not care about what a prospective employer thinks or they are not aware these employers can ask for and obtain this information. My guess would be the latter for the most part. As for whether or not it is fair for a prospective employer to do this, that is a topic for another post. In a post on his official Bioware blog, Dr. Ray Muzyka, co-founder of Bioware, responded to outrage over Mass Effect 3’s ending. First I’ll start by saying I am a huge fan of all 3 Mass Effect games. However, as a PR major I could not help but begin brainstorming ways Bioware should respond to its fans after many of them expressed disdain over the lack of closure in ME3’s ending. All of my personal feelings regarding this issues aside, I think Dr. Muzyka and the whole Bioware team did a great job managing this PR crisis. When a video game developer creates an entirely new universe complete with rich history and lore, this developer cannot help but feel as though this game is its baby. However, mature and professional people are able to take constructive criticism and also understand that their game is nothing without happy players. Bioware quickly responded to players after anger over the ending of ME3 first surfaced. PR professionals in any industry should take note here. When you face a PR crisis, you need to respond ASAP. Saying, “we are aware of these issues and are working on a solution,” is not enough, but this is better than nothing at all. Bioware was in continuous contact with the ME3 community during this period of outrage, and they use insight from players, as Dr. Muzyka points out in his post, to help improve the game. To me this is something unique to the video game industry to a certain extent. There are not many industries that take insight from customers to improve CURRENT products. Recently MarketingProfs.com wrote an article about the top 5 phrases that make CEOs seem unauthentic, according to bloggers surveyed. I know for a fact there was a time when most people nodded approvingly at these phrases because CEO’s would simply not continue to use them if the majority of people disapproved. Even today there are still many people who buy into this corporate-speak. I also know for a fact that some companies hire image consultants for CEOs. I think this is where it begins to get dangerous. When you try and teach someone to act a certain way that is unnatural, the person will simply look unauthentic. To me this also occurs when writing speeches or preparing a CEO for an interview. Someone is preparing this individual to say things or act in a way that is just not natural. It is incredibly important to work closely with whomever you are preparing for a public event and let that person be whoever he or she truly is. At the end of the day, people will always prefer CEOs for being true to who they are rather than trying to create a fake public image. When tell someone I’m a public relations major, 9 times out of 10 they mention a current PR crisis a company or person is going through and ask what I would have done. More often than not, these people assume crisis management is the only aspect of communication a PR professional is responsible for. To a certain extent this is understandable because crisis management is a very important aspect of being a PR professional. Brad Phillips discussed the 8 worst media disasters of February a few weeks ago, and I want to focus one what he placed at #1. Representatives from Susan G. Komen Race for The Cure were guest speakers in one of my PR lectures last year. These women were PR professionals, and based on what I heard that day, this organization’s communication efforts are in very capable hands. However, Nancy Brinker was able to make a complete fool of herself. How was she able to do this when her PR staff had no doubt laid out a very solid list of key messages and prepared answers for this interview? The short answer to this is this: when you are a PR professional, your bosses are not always going to listen to you. They are above you and often by that merit think they know better than you. This story proves otherwise. I am a nerd. There I said it. I also happen to be a Public Relations Major in the University of Oregon School of Journalism and Communication. However, I was surprised at how interested I was in news releases and other PR related communication regarding new technologies. Ok, I wasn’t really all that surprised. Having always loved all things techy and nerdy, I am beginning to analyze how PR ties into the vast technology industry. Considering the technology industry is so large, I tend to focus more on technologies primarily used for entertainment and how PR professionals communicate to the public regarding these technologies. My goal is to analyze the effectiveness of messages presented by these professionals and to provide my opinion as well. I am also interested in how these professionals use social media to communicate with the public. I hope you enjoy reading my blog, and because this is my first time delving into the blogging world, I am always open to feedback and constructive criticism. I know there are some public relations majors at my school who dream of being in control of a Hollywood nut job’s Twitter account. While dreams of making some decent money and riding coat tails are all well and good, I am not in favor of protecting idiots. This is not to say all celebrities are ignorant narcissists, but there are a few colorful characters out there. 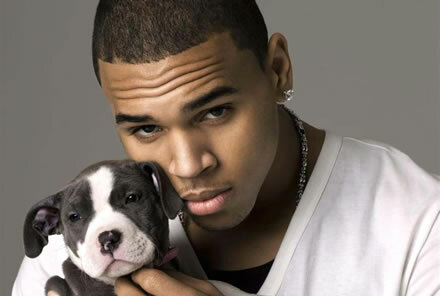 5 minutes later he hit the puppy for peeing on him, apologized on Twitter, and then won another Grammy. In this blog post, Jenni Maier discusses how some celebrities make themselves look like idiots on Twitter, and she believes the individual’s PR professional should take more direct control of these accounts to prevent further scandals. Although I am a PR major and completely understand the need to maintain the image of a public figure, to me there is a huge difference between saying something inappropriate in front of a live audience and posting something on Twitter. Even for celebrities, being in front of a bunch of people puts you in a different frame of mind. Stating something inappropriate in this context can be filed under the humans make mistakes clause in my opinion. Unless of course it is during a planned speech or anything of that sort. PR professionals can storm in and dictate a nice apology letter. Now think about posting something on Twitter. You have to physically type out your thoughts. The words do not go straight from your mouth to the world. Also many people are in a comfortable place when they do this. You can take all the time you want going over your thoughts. Posting something ignorant or what have you in this context is just idiocy. Personally, I would let the world see these individuals for who they really are, but then the money would start to dry up. I remember when I was first looking for a job at 16. My dad told me, “Son, at this point in your life it isn’t about what you know. It’s about who you know.” No, my dad has never called me son, but he sounds more wise that way. During that time the advice was indeed wise because I had no marketable skills to speak of. My first job and all jobs since have been made possible because of networking via family friends. What about out there in the “real world” of public relations careers? Although having some connections might help, potential employers need to see what you can do. Yes, a resume is one part of that, but concrete evidence that shows you know what the heck you’re doing is vital. While brainstorming ways to do this I came across a blog post by Mark Schaefer. In the post Mark discusses “7 reasons every job-seeker needs to blog.” As you can see he highlights exactly what I was thinking about while greatly expanding upon my original thoughts. Not only is a blog helpful in showing a potential employer your skills, a blog can allow this person to get a better idea about who you are. This is important because a resume can really only be a page long, and let’s face it, that is only long enough to give a first impression. In the public relations industry, you may even be hired based on your blogging skills alone! Your potential employers reading your awesome blog! Remember everyone has to start somewhere. Do not be afraid to begin your blog because you don’t think it will be great content. The more you blog the better you’ll become, and it is a necessary skill if you’re considering a career in PR.